Beirut, the capital of Lebanon, is a city that suffered one of the longest contemporary Civil Wars (25 years, ended in 1991). However, today, among all the destroyed buildings, Beirut brags about being one of the safest cities in the region and, with unbelievable economic growth and the rapid rise of the middle class, it also stands as the most liberal and westernized city in the Middle East, outside of Israel. I love Beirut because of its deep, rich and contrasting history, composed of dozens of districts that differ massively from each other: the hipster district of Gemmayzeh, Hezbollah areas like Bourj al-Barajneh, the student neighborhood of Hamra, old Palestinian refugee camps, the Armenian district of Bourj Hammoud, several Christian areas and much, much more! 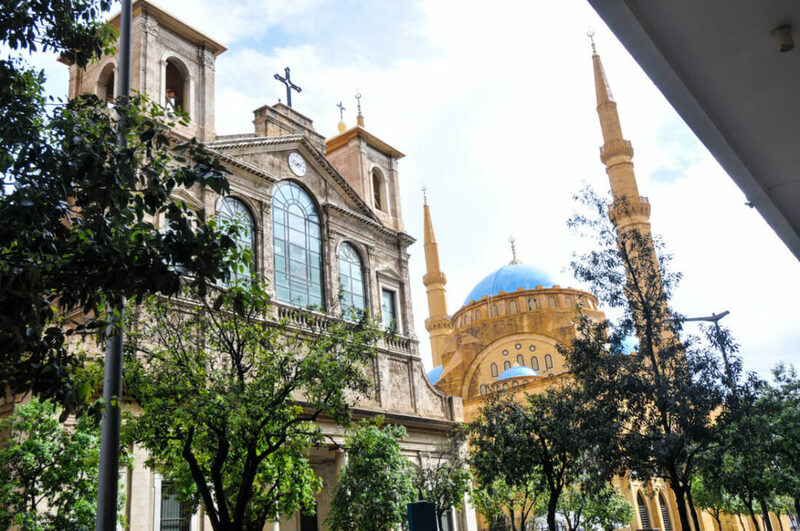 Beirut is one of the most culturally diverse cities in the world. Furthermore, in Beirut, you also find the best food and parties in the Middle East. Did you know that 40% of the population are Christians? Surprised? Beer is widely available and, you know the best of it? Drinking in the street is allowed! 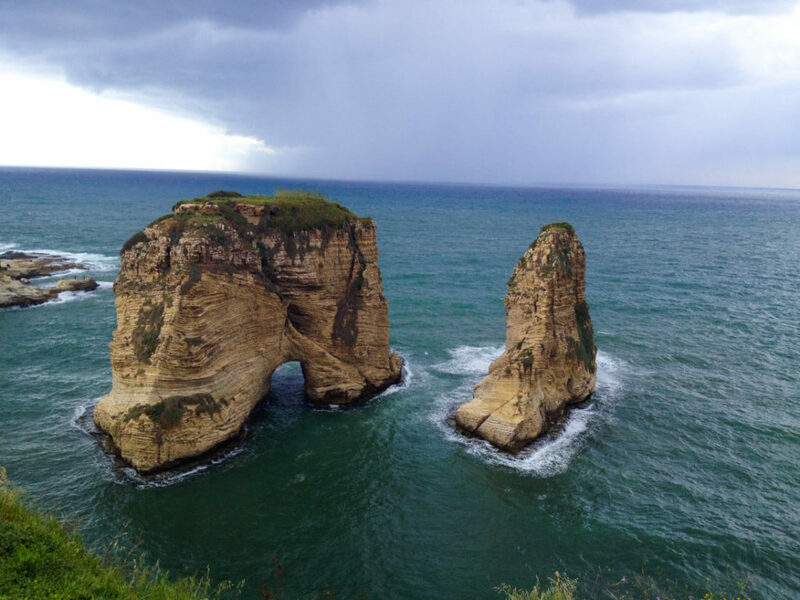 The following Beirut Travel Guide will show you the best things to do in Beirut, as well as how to move around, accommodation options and many other travel tips. Is it safe to travel to Lebanon in 2018? Money – The official currency is the Lebanese Pound (LBP) but USD are also accepted everywhere and, actually, many restaurants will give you the bill in USD. The good thing is that the exchange rate USD/LBP is stable throughout the country, no matter where you go. The official rate is: 1USD = 1,500LBP. Language – Arabic is the official language but French and English are widely spoken among the educated people. In the more modern neighborhoods, like Hamra or Gemmayzeh, you won’t find any barrier language but, in more conservative areas, Arabic is the only way to go. Population – Beirut is a city of 400,000 inhabitants. Nevertheless, it’s the most multicultural city in the Middle East and Europe. It’s composed of dozens of neighborhoods, each one so different from each other that, when wandering around them, it feels like being in a different city. Visa – Most nationalities traveling to Beirut get a 1-month free visa on arrival (extendable to 2 months), at least for citizens of the EU, Japan, Canada, South Korea, USA, Canada, Australia and even Iran. If you are from any other nationality, please check it with your embassy. Wi-Fi – In Beirut, like in the rest of Lebanon, the internet is a big issue, being very slow pretty much everywhere, even at expensive cafés and restaurants. If you need reliable internet, get a SIM Card. SIM Card – You can easily get a SIM Card, Alfa and Touch being the most reliable companies. Typically, a SIM Card would cost around 5,000LBP (3.30USD) and 500MB of data 10USD. However, in order to activate it, you should buy 22USD of credit, at least. Is it safe to travel in Beirut? 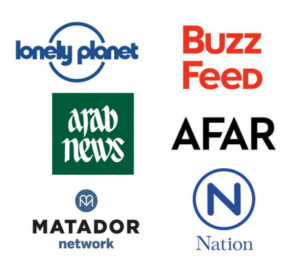 – In the last couple of years, Beirut has suffered some terrorist attacks. However, they have always targeted Hezbollah areas, happening in places where tourists are not supposed to go. For more information, read my full analysis: Is Lebanon safe? 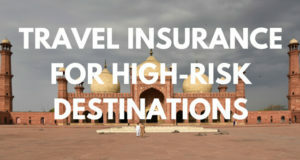 If you are traveling in Beirut, it is highly recommended to travel with proper travel insurance, as you never know what could happen. Normally, I would always recommend World Nomads, one of the top companies out there, as it gives you unlimited medical coverage. 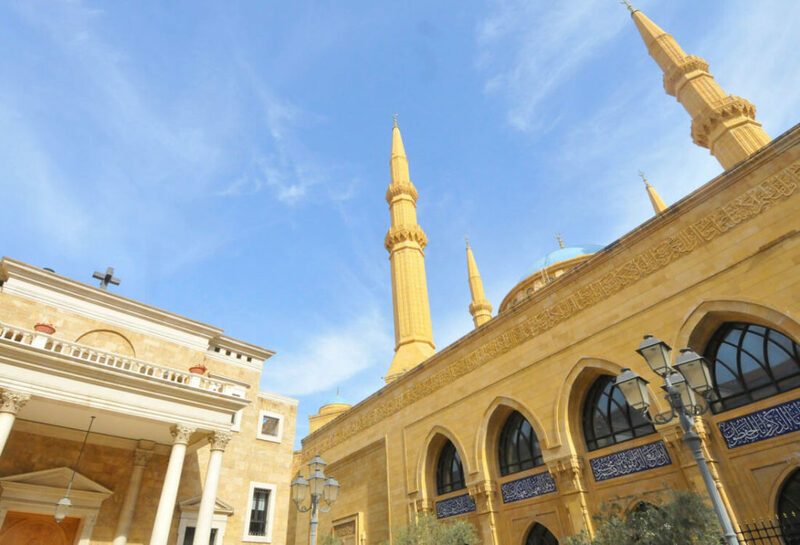 Beirut is a city where monuments and touristic sites as a such barely exist. 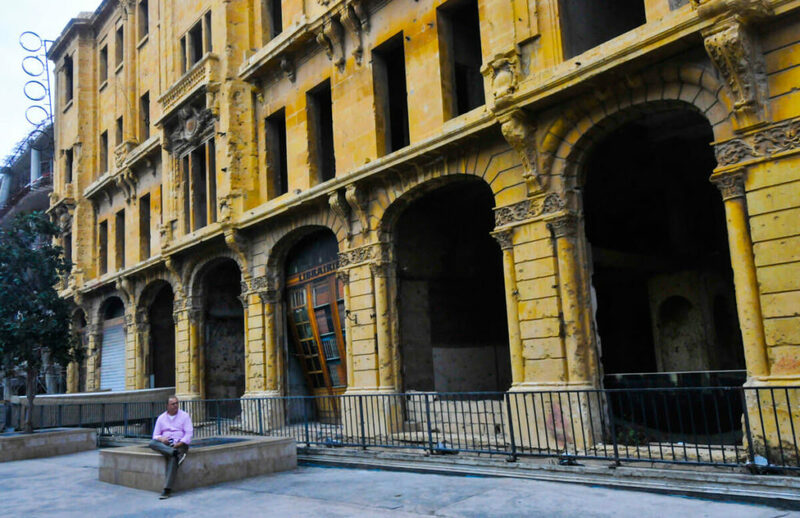 Instead, people travel to Beirut to enjoy its culture and history, by walking around its dozens of different neighborhoods, admiring the war-destroyed buildings, eating and savoring the awesome, social local life. 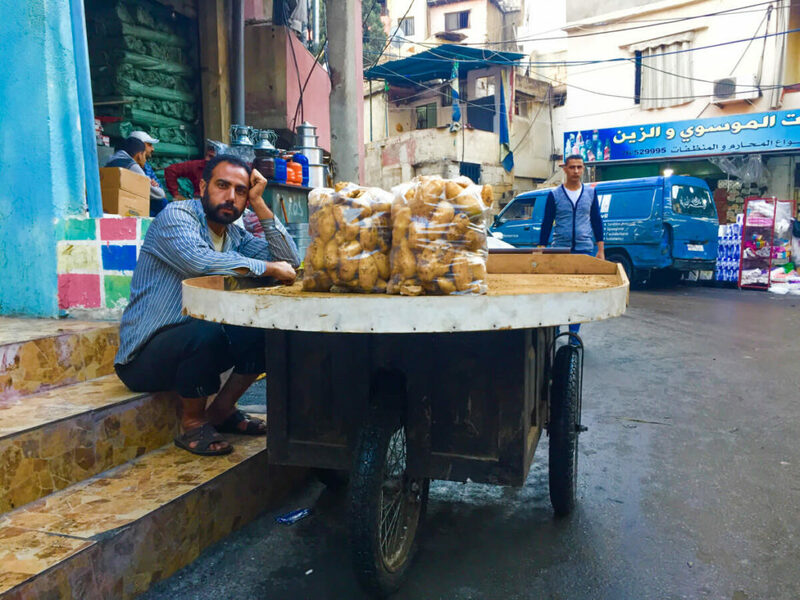 When you are wandering the streets of Gemmayzeh, it’s hard to remember that you are actually in the heart of the most turbulent region in the world. 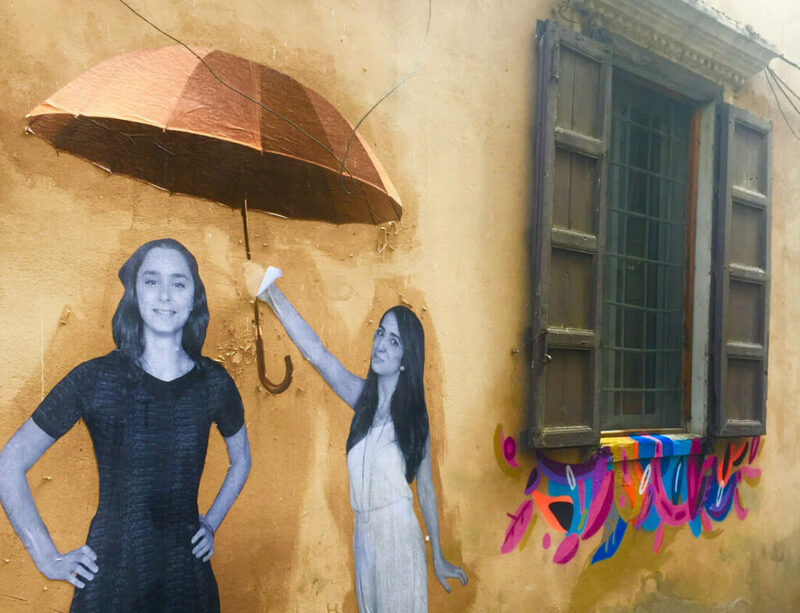 With an endless number of bars, pubs, cafés and restaurants, Gemmayzeh is a trendy and sort of bohemian neighborhood, filled with narrow alleys, colonial buildings from the French era and art galleries. This is, perhaps, the most Westernized area in the entire Middle East (outside of Israel) and one of the highlights of anyone traveling to Beirut. If you want to forget that you are in a big city, I definitely recommend going to the Pigeon Rocks, which are the only natural beauty in Beirut. The Pigeon Rocks are two rock arches situated next to a cliff from where you get amazing sunsets and views of the ocean. It’s a place where families and people from all social classes like to spend the weekend. 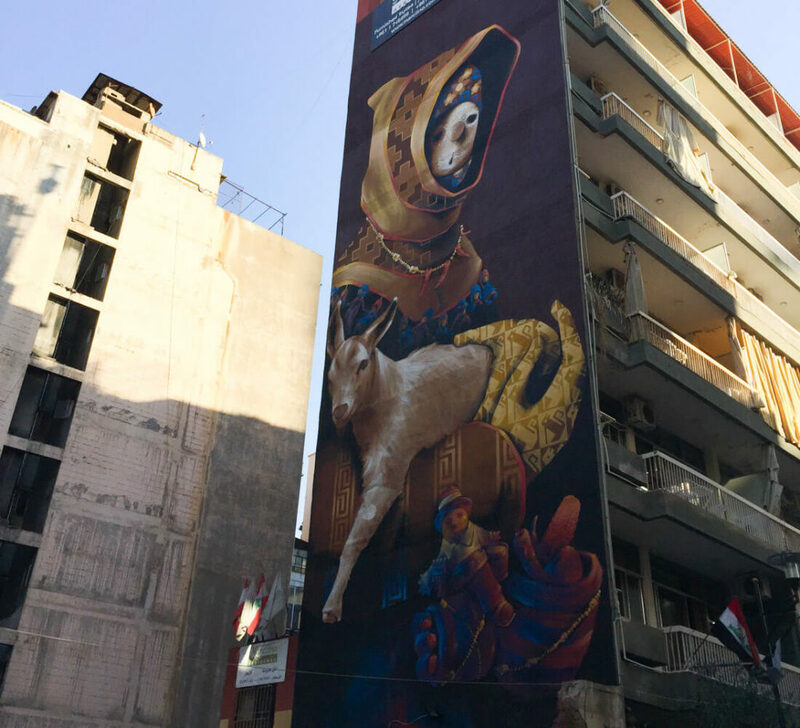 The history books say that, during the Lebanese Civil War, Hamra was the center of intellectual activity, as it was full of theaters and other cultural institutions. Today, Hamra holds the most prestigious university in the Middle East, the American University of Beirut, and, even though this area is not as cool and trendy as Gemmayzeh, there’s a friendly student vibe strolling the streets and drinking at the several bars and cafés. 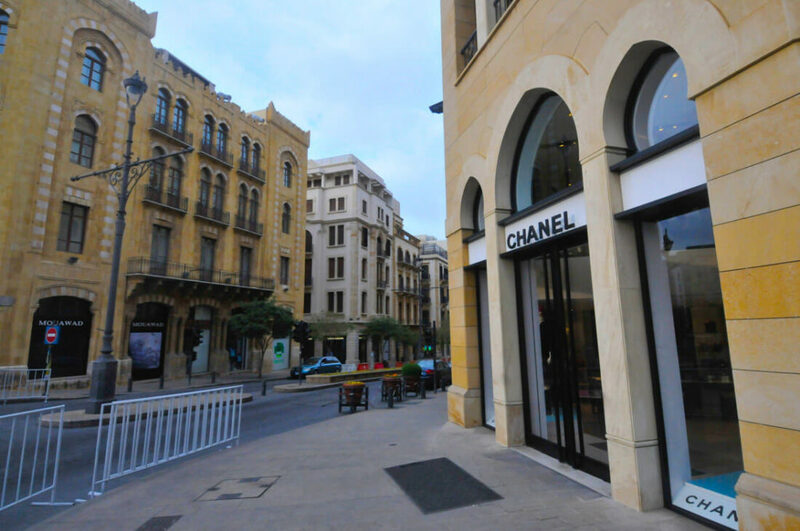 Before the Civil War, Downtown Beirut was often called the Paris of the Middle East. After the war, the district had to be completely rebuilt and, today, this is the most pedestrianized and cleanest area in the city. It’s full of glamorous boutiques such as Louis Vuitton and the top fine-dining restaurants. Nevertheless, the locals claim that, since the reconstruction, this part of the city has lost its soul and you are likely to find more tourists from the Persian Gulf than local Lebanese. Shia Muslims, Sunni Muslims, Maronite Catholics, Druze, Greek Orthodox, Melkite Catholics, Armenian Apostolic, and Protestants, just to name a few. 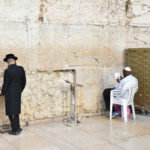 The religious diversity is very rich and one can easily realize about it, as there are mosques and churches for each and every branch of the two major religions in the country. This diversity was one of the main triggers of the Civil War but, nowadays, all religions live in peace and harmony and, sometimes, both mosques and churches are built side by side, like in the picture below. Bourj Hammoud is a neighborhood founded by survivors of the Armenian Genocide in 1915. If you want to get a glimpse of Armenian culture and eat at tasty Armenian restaurants and bakeries, I highly recommend spending half a day in this area. 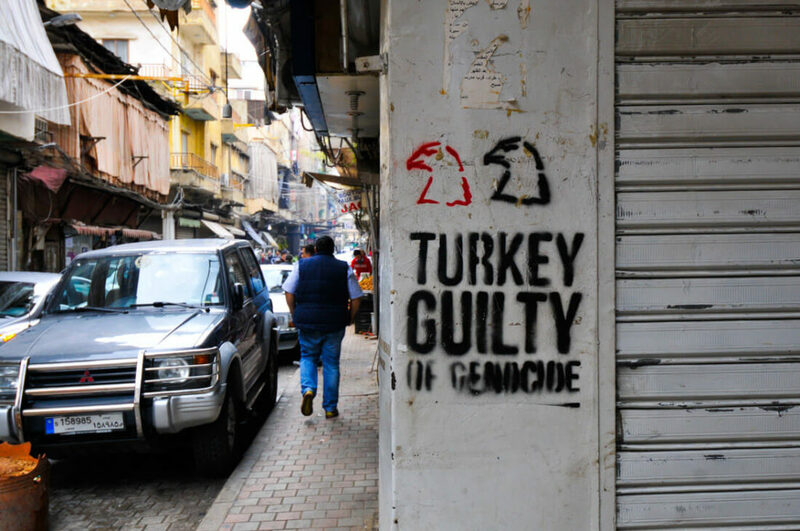 There is plenty of pretty cool graffiti claiming Turkey is the only party guilty of the genocide and also, this is sort of a commercial hub, where you’ll find the best deals on clothes and electronics in the city. If you don’t know what to do in Beirut on your second or third day, this is a cool place to go. Me: Why aren’t you restoring all these buildings? 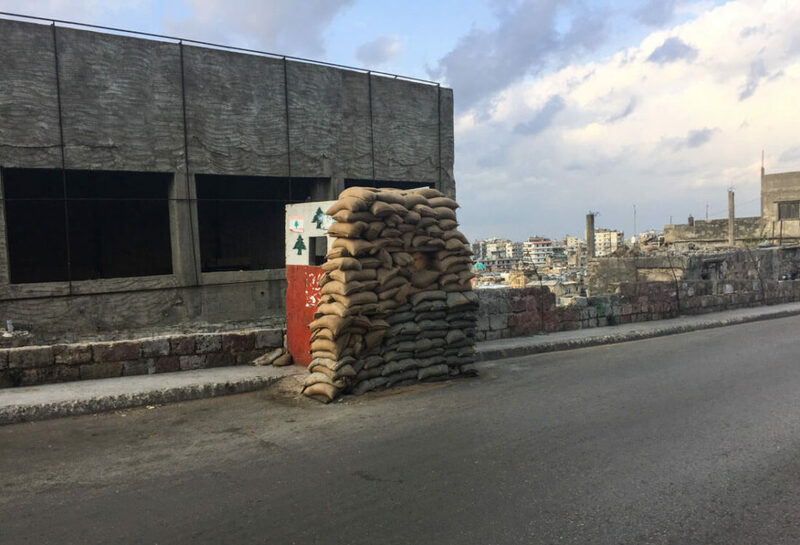 Destroyed buildings, as well as inhabited buildings with bullet holes can still be found all over the city and, for me, this is the most interesting thing to do in Beirut. Shatila is one of the oldest Palestinian refugee camps outside of Palestine. It was set up in 1949 and today, it’s attached to the city of Beirut. Shatila caught the eyes of the outside world because, during the Civil War in Lebanon, a Christian militia was responsible for one of the bloodiest massacres ever, as they killed around 3,500 civilians, mostly Suni Palestinians and Shia Lebanese. Today, the population has doubled due to the massive flux of Syrian refugees. 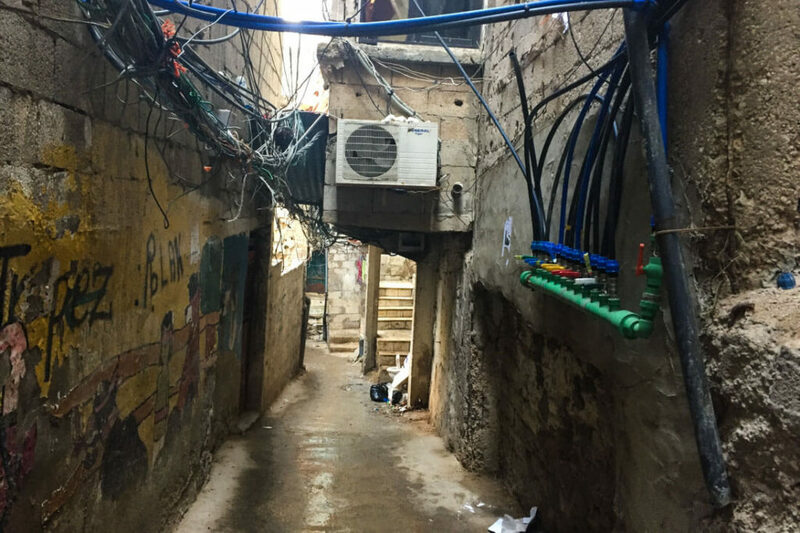 If you decide to visit Shatila, you need to bear in mind that this is neither a tourist attraction nor a place to have fun but, one goes there to learn and empathize with the local Palestinians. 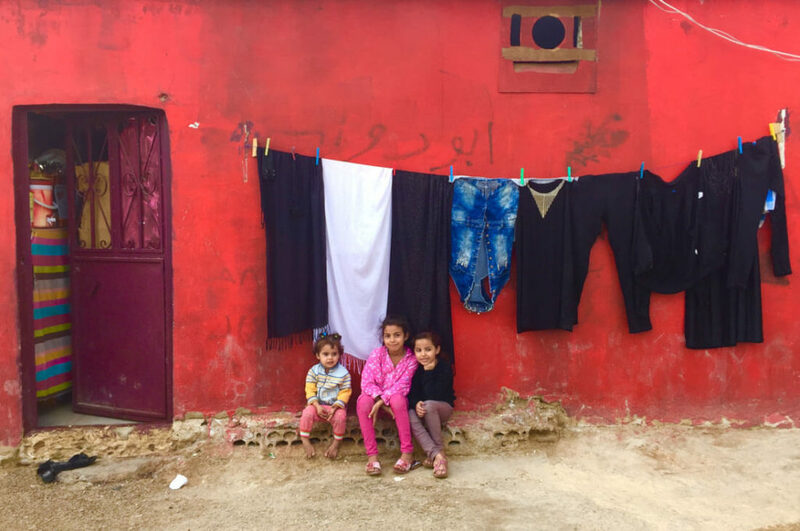 In Lebanon, around 10% of the population are Palestinians, 56% of them are unemployed and many of them survive on less than $7 a day. Note: If you want to live a real and unconventional experience, in Shatila, there is a guest house where you can even do some volunteer work if you want. Prices are lower than anywhere else in Beirut and are also likely to meet plenty of very interesting people. For further details, visit their website. 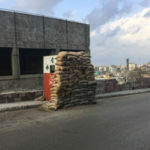 This is one of the most fucked up places (sorry for the expression) in Beirut and you are likely to be called crazy by the locals if they ever find out that you hanged in this area. You should only go if you are interested in local politics. Bourj al-Barajneh is where the last suicide bombings happened, as this is a Hezbollah area targeted by ISIS. The heart of the neighborhood is a real ghetto, as it’s composed of extremely narrow alleys with electric cables hanging from everywhere. Due to the terrorist threat, there are endless checkpoints. This is quite a sensitive area which it’s possible to visit, but taking pictures is strictly forbidden. If you get caught, you can be in real trouble, like it happened to me when a group of locals saw me taking a photo with my phone, so they retained for nearly 2 hours. Also, bear in mind that the locals don’t understand why a foreigner would even want to visit the area for tourism purposes so, for them, any foreigner could potentially be a spy. If you go there, it’s 100% recommended to go with a local. There are hotels and hostels for every budget but, if you want to get the best deals, I recommend you book a room or an apartment through Airbnb. And if you create an account through my link, you will get up to 35€ of FREE credit on your next booking. Backpacker Hostel – Saifi Urban Gardens – The most budget dorms in Beirut and, at the same time, it is an awesome place to stay. My Lebanese friends claim that the restaurant serves the best breakfast in the city. Besides, it has a lovely garden with a bar where all the young Lebanese come to hang out. Budget Hotel – Embassy Hotel – This is, practically, the only budget hotel in town. The rooms and bathroom are a bit old but, for this price, you are not likely to find anything better. However, it is in a very good location, right at the heart of Hamra, one of the coolest areas in the city. Mid-range Hotel – Lavender Home – In my opinion, this is the best mid-range option in the city. I stayed here with a friend the first time I visited Beirut and, basically, it offers pretty modern room-apartments that even have a kitchen. The location is also great, in Hamra, and I think it is the best value for money option. Top-end Hotel – Le Patio Boutique Hotel Beirut Downtown – Located in the fanciest part of town, in a very beautiful French-colonial inspired building, this 5-star hotel is your choice if you are looking for a comfortable place which has a delightful design, a good restaurant and a pool, which is highly appreciated during the heat of summer. Budget local eatery – Restaurant Le Chef – Always frequented by both local workers and businessmen, the restaurant Le Chef serves a large variety of local home-made dishes that changes every day. 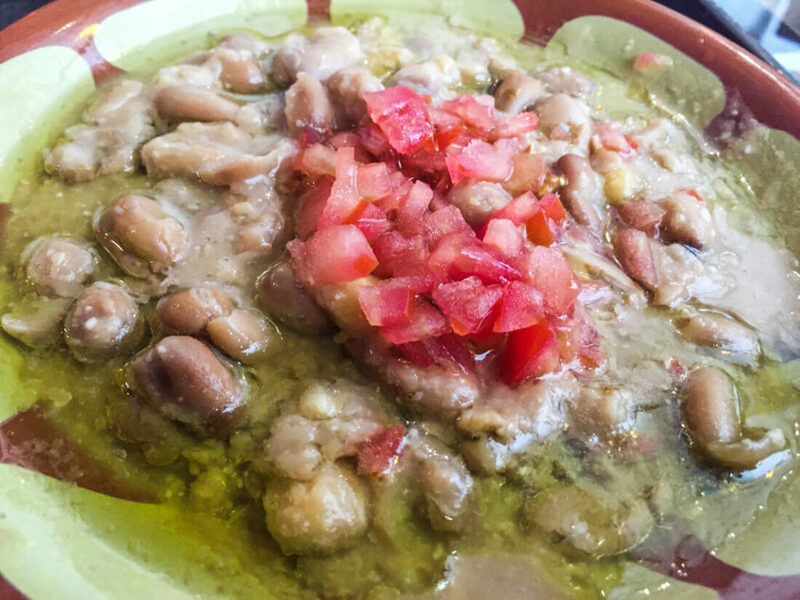 If available, you must try syadye, a rice-based dish with fish and almonds. Price: Main dishes at 10,000LBP ($6.60). Location: Gemmazyeh. Mid-range restaurant – Café Em-Nazih – This café-restaurant attracts the young generation with incredibly tasty mezza at an affordable price, served with good quality music and a friendly young atmosphere. Price: Mezza from 4,000LBP ($2,66). Where? In Gemmayzeh (Pasteur St). Mid-range restaurant – T Marbouta – Similar to Café Em-Nazih but serving a larger variety of mezza and more of a restaurant than a café with music. You must try kibbeh mouloukyeh, fried meat with pomegranate. Price: Mezza from 5,000LBP ($3.33). Where? In Hamra (Hamra St). It’s difficult to find, so better ask for it. The local price for a taxi ride to the city center is a minimum of 15,000LBP (10USD). Furthermore, if you are on a budget, occasionally, there’s a minibus that leaves from the second level. Additionally, the airport is located pretty much in the city itself so, if there is no minibus, go out of the airport towards the city center and, once on the main road, after 500m, you’ll find plenty of local minibusses. Service – Alternatively, locals have a system called service, which is basically a shared taxi service. Basically, when you stop a taxi in the middle of the street, say service and, on the way, he will be picking up other passengers. A single, short ride costs 2,000LBP (1.30USD). Cola Station – Cola is the largest bus station in Beirut, with plenty of buses going to all directions, especially to the south. 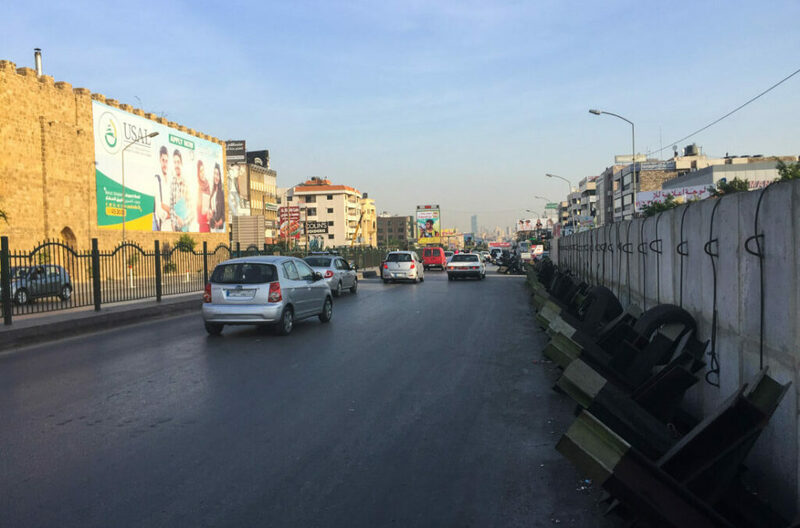 However, it is a bit away from downtown and a bit limited when it comes to northern cities, even though you can find plenty of buses going to Baalbek region and Tripoli. Charles Helou – For northern cities, this bus station is way more convenient, as it has more choices plus it is located very close to both downtown and Gemmayzeh, where most tourists stay. However, for going to the south of Lebanon, to places like Tyr or Sayda, you should definitely depart from Cola Station. I love your blog and the guide is so detailed and helpful! Thanks for sharing. Hi Cheryl, thank you so much! Glad you like it! Are you planning to go to Beirut? I would love to hear you got on in August. My wife and I ( both elderly ) love going off the beaten track. We are going to be in Lebanon mid- September 2018 and intend to visit Baalbek and Tripoli. Are we crazy? We have heard from a few people on the ground that most of Lebanon is safe. We would like advise from fellow travelers. You are not crazy, you rock! It is a safe region, don’t worry! Joan, your comments and general commentary are very reassuring indeed. In 2015 after a significant health diagnosis,, I intensified my travel experience even more than before. In the last couple of years we have visited Korea ( demilitarized zone) Japan Philippines Iran, Oman and UAE. I am 77 and have just returned from a 4 mile walk. I admire free spirits of any age. I would like your undoubted knowledge of another Lebanese City! – Tripoli. Could you enlighten me please? J. Also, if you go there, a good friend of mine, local, can give you a free tour. Hi Joantow, I’m lebanese and happy that you liked your visit to Lebanon! I’m surprised you visited some of the places that you mentioned since they are not touristic places. Few suggestions for travelers: Jeita Grotto (and Harissa same trip), jezzine area in the south, baalback temples, jounieh area, north for hiking, cedar trees, Ehden. And so much more! Also we have uber if you need it! Hi Riwa! Thanks! I still need to visit some of the places you mention. Will go back there next spring! All the best! Thanks! I am so jealous that you are going to Lebanon 🙂 I will be in the Middle East during the next month and, if I find a cheap flight, I will go back there to re-visit some pending places. 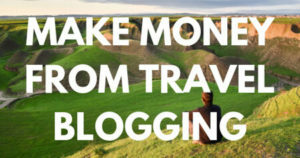 I invite you to check the blog: http://chasingstories.blog/ for a better and wider view related to tourism in Lebanon. Hi Graham, thanks for the suggestion. I have added the information in the Shatila section. Cheers! 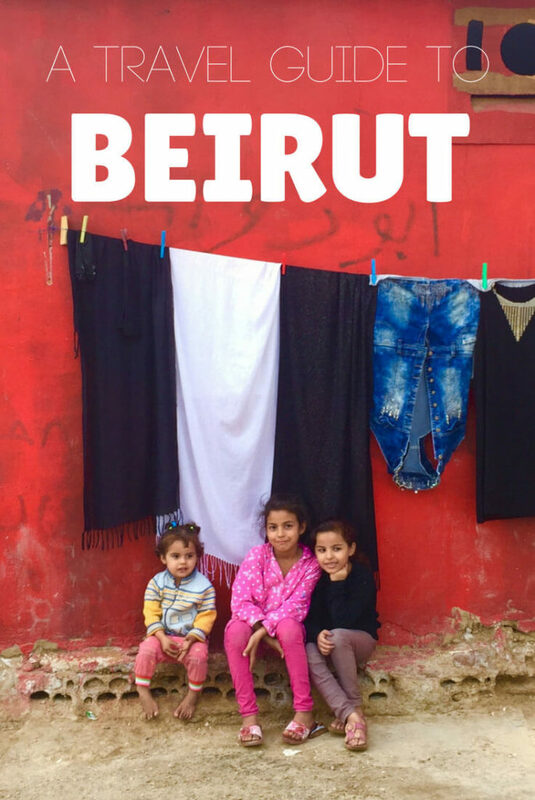 Beirut and Lebanon, in general, are seldom mentioned, so I was happy to stumble upon your article. 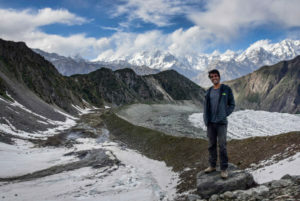 We spent fantastic time there couple of years ago (even managed to get lost in the mountains which added an additional layer to our appreciation of local hospitality). Lovely to see some new street art that I either missed or it appeared after our visit. Speaking of how to get around Beirut, I just want to add that traffic is generally absolutely atrocious there, so sometimes walking works the best. Hi Elena! Oh nice, I didn’t have much time to really explore the mountains, except for a half day around Kadisha, so can’t say much about it! Thank you for the transportation tip, yeah, forgot to mention that traffic is insane there! Cheers! 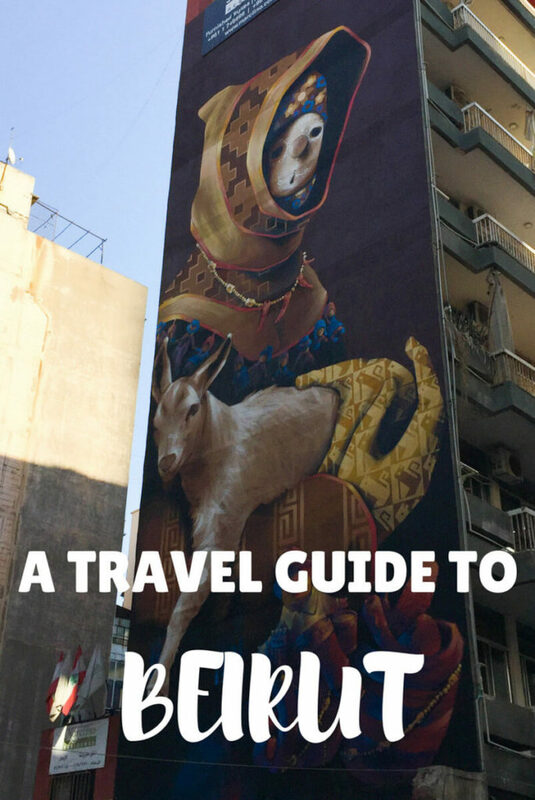 Hi Joan, we are headed to Beirut this week and this is a very handy guide. Thanks for putting it together. You are welcome! Anything just let me know, enjoy! Hi, I was intending to only visit Egypt, Jordan and finishing in Israel and I thought I should include Lebanon since they are altogether however as I understand the passport issue, is it possible if I travel in this order: Egypt-Lebanon-Jordan-Israel? I am likely to fly out of Tel Aviv back home. When I enter Israel at Eilat, will there be any issue as they will see the Lebanese passport stamp?